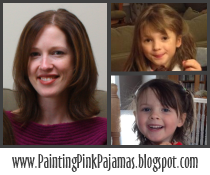 Painting Pink Pajamas: New year, clean house? I'm in the midst of a New Year's organization urge combined with pre-baby nesting instinct. I've been putting away Christmas decorations, organizing our new combination office/guest room (complete with fabulous new built-in cabinets which just need the doors attached), brainstorming ideas for decorating the baby's room, and trying to rearrange our living/dining area to fit in C's (huge) new train table. In short, I've been driving my husband nuts. But with the organizing, of course, comes the cleaning. Inspired by Sab's post about January organizing, I've decided to try to sticking to a weekly cleaning list. I work part-time around my Hubby's shift work, so I can't stick to a "Monday is laundry day, Tuesday is errands day" kind of schedule, but maybe a checklist will help me keep on track (and keep my house cleaner)! 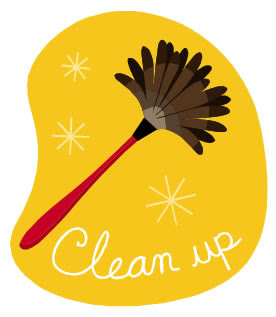 I searched the Internet for various cleaning lists, and found some good additions on Newlywed Home. 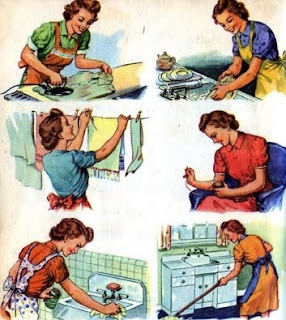 Do you use lists to keep on top of housework? What are your biggest cleaning/organizing challenges? That is an awesome list! I've tried to make one before, but don't stick to it. ANd I agree... laundry is a crazy thing! what a great list, I am all about them!! your first paragraph is like me to a T, putting away, getting organized, thinking about the nursery, all of the above!!! Super simple activities for busy days! Birthday prep, and a few online freebies!